It's no suprise that the interior design of your home is a reflection of your personality and style. 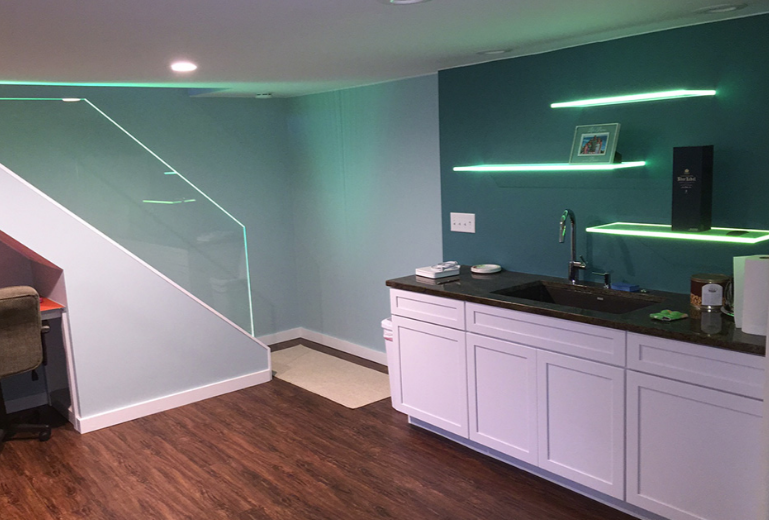 If you're looking to add some flair, style and elegance to your home, the glass fabricators at Reid Glass can help. Our firm offers decorative glass railings, glass walls, and glass mirrors that will be sure to impress any guest that steps foot into your home. We aren't just any custom glass company, Reid Glass is committed to brilliance and providing top tier custom and decorative glass services. Glass creates a sense of fluidity, airiness, and a hint of sparkle-- perfect for those homeowners wanting to make a statement. Our team of glass fabricators aims for quality-- not quantity. The glass pieces you find in stores aren't the same quality and don't offer the longevity that Reid Glass products can. 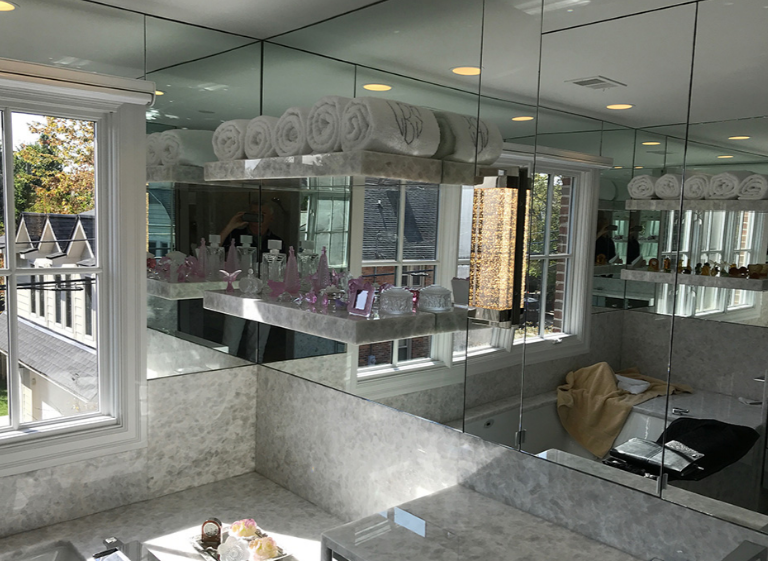 Our team uses the best materials, tools, and fabricators to ensure the glass mirrors, walls, and railings in your home shines for years to come. Glass Shelves - Glass shelves are a beautiful way to showcase any items that are put on displays. With their reflective nature, glass shelves are perfect to show off your unique sculptures, striking antiques, exclusive collectibles or lush plants. Glass Walls - Add an effortless and unique twist to your home with glass walls. Due to its transparency, glass walls can make your space appear larger and more grand. Conventional doors can close off spaces, while glass doors and walls can open them up, creating a visually appealing aesthetic. Glass Railings - Your home will stand out from the rest as glass isn't the most common material used for railings! Glass railings are an excellent way to add a special touch to your home. Aesthetically, they add something a little extra in comparison to traditional railings. 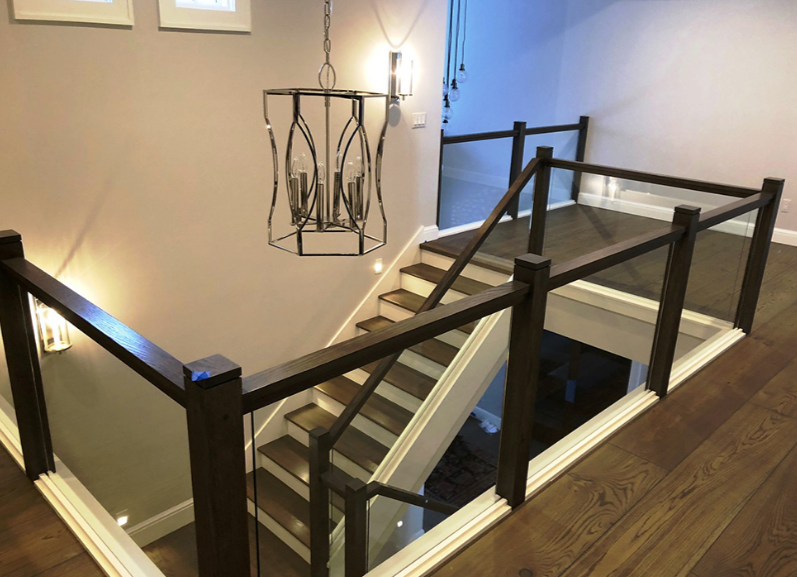 We customized our glass railings to your home's specific needs and design creating a one of a kind, show-stopping appeal. Add Style to Your Professional Space with Our Custom Commercial Services If you're looking to make your office stand out, want to add a splash of elegance or just want a unique touch to your commercial space, let our team help. Reid Glass offers numerous options for commercial spaces, from decorative glass to glass railings to interior glass doors, our custom glass fabricators can make your space one of a kind. Amaze anyone who enters your space with beautifully painted glass accents, reflective glass mirrors or sparkling glass walls. Check out our gallery to see more of the commercial projects we have worked on! Reid Glass is fully licensed and specializes in custom decorative glass for the home or business. Our talented and creative team provide top of the line decorative glass work and glass installation services that are second to none. Contact us today at 248-353-5770 for customized decorative glass work. European shower doors, custom glass mirrors, and shower enclosures from Reid Glass in Michigan will transform the interior design of your home, impeccably. Reid Glass has a team of experienced artists who can install frameless European shower doors that are custom designed for your bathroom. Our glass finishes are complemented by unique European-style hinges and other sleek fixtures designed for any modern bathroom. Also, the Frameless shower doors bring a contemporary art luxury that matches the style of your bathroom. The state-of-the-art, clean look of our shower enclosures exudes spa feel.